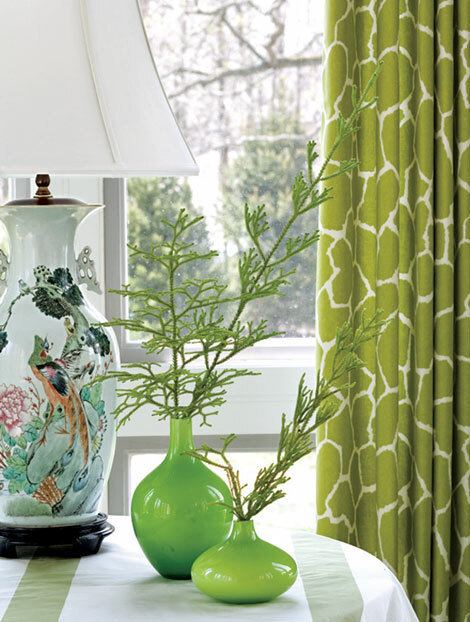 Green is the color of spring, and this sun room designed by Lawrence Boeder makes its presence bold and fresh bringing the outdoors inside. 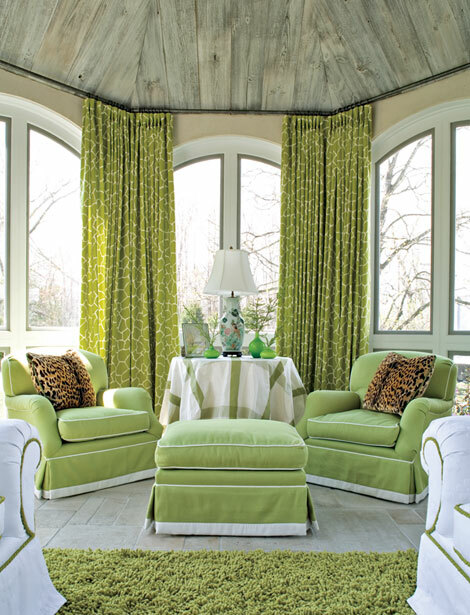 I love the soaring ceilings of the room and the lime green and white contrast in every detail. And of course the eye catching giraffe print window treatment that brings the “wow”of wild. I applaud Boeder’s choice to frame the window walls with a minimal size rod above the arched windows and let the large scale animal print on the draperies to do the the wonder. And like the floor-to ceiling giraffe was not enough, he didn’t stop there. He “threw” the these delicious leopard print pillows in earth tones and let them do the magic of texture! This color palette is lovely! So so Spring-like! Have a wonderful week!